A bill allocating funds for students to attend NCORE, a race and equality conference held in San Francisco, was again sent back to be revised to lower the amount at a Mar. 15 Associated Student Body (ASB) Student Senate meeting. Both the Sociology club and Progressive Democrats club hope to use the money to support the students who are planning to attend NCORE. The bill was introduced by Director of Legislative Affairs Laurie Jones with an allocation of $2,000. At an earlier meeting, the bill was presented with an amount of $20,000 allocating funds for students belonging to the Sociology club and Progressive Democrats club. Director of Finance Jeremy Diefenbacher said that he wants to help the students attend NCORE but that funds are low. The bill will be presented again at the next Senate meeting Thursday. Bills were passed that support Phi Theta Kappa’s banquet, Rock the Vote and sending members of ASB to the Spring General Assembly. The money spent on these three bills totaled $24,600. This money spent was the most by the Senate in a single meeting during this semester. Phi Theta Kappa received $1,000 for its banquet at the Timber Creek Ballroom on Mar. 12. The banquet will showcased the best of ARC with a jazz band, culinary students and an art gallery. $15,000 is being spent on Rock the Vote advocacy events for the Apr. 12 and 13 election days. Roughly $14,000 of that is being spent on food. 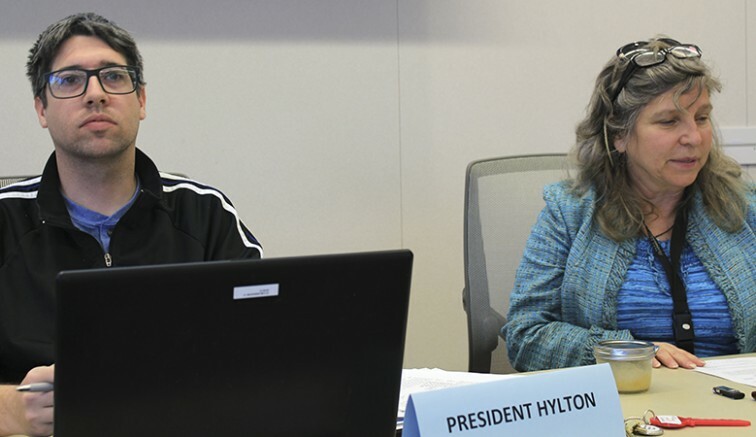 $8,600 will be spent for six members of ASB and an adviser to attend the Student Senate for California Community Colleges (SSCCC) Spring General Assembly. The General Assembly allows California Community College student governments to represent their students in driving the statewide student organization’s agenda and priorities. The First Annual ASB short film festival was also established at a Mar. 9 CAEB meeting. Submissions are open to any ARC student or club for films between three and five minutes in length and are tentatively due by Apr. 8. The ASB short-film festival is currently scheduled for Apr. 22 from 1 p.m. to 4 p.m. in community rooms one and two, with prizes for the top films. The details of the event have yet to be finalized as funding for this event has not been approved. Be the first to comment on "ASB Notebook: Various funding allocation discussed at recent meetings"